Here's that HUGE "knock 'em dead" button, beautifully polished and sculpted in plastic resin. 2 hole attachment. Size 86 (2&3/8"). 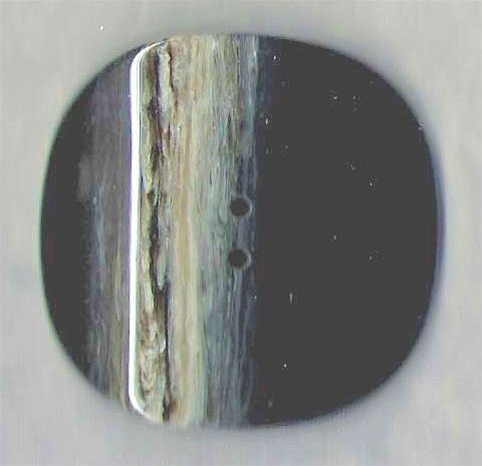 Black color with silvery agate stripe. This is a button that will give your sweater or jacket a real designer touch!